Dr. Randall Voigt would like to welcome you to an amazing dental experience! By combining advanced dental technology with a gentle, friendly style, Dr. Voigt and his team will make you and your family more comfortable than you ever thought possible. "As a doctor, I recognize that my patients are unique individuals who have placed a great deal of trust in me and my team. That is just one reason why I value each and every patient relationship." The minute you walk through the door, you will know you have come to the right place. The office has a comforting atmosphere and inviting team members that will make you feel right at home. Best of all, Dr. Voigt takes the time to get to know each and every patient one-on-one, helping you make informed choices about your dental health. As a dental professional Dr. Voigt stays up to date on the latest advancements in dentistry in order to provide the most current treatment options for his patients. Implant dentistry, Invisalign, Orthodontics and Cerec one visit crowns are just some of the services we offer to help you maintain a beautiful, healthy smile. Dr. Voigt completed his training in Implant Dentistry at the University of Texas Health Science Center's Dental Implantology Preceptorship program. As an Invisalign Premier Provider he has helped many of his patients achieve a beautiful smile. We offer Cerec one visit crowns which can be a great option when you have time restraints and would like to have your crown completed in one visit. We would love the opportunity to create a beautiful smile for you to be proud of. 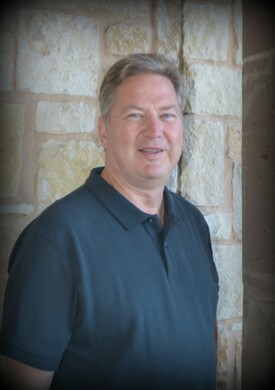 A third generation Texan, Dr. Voigt was born and raised in San Antonio. He graduated from Jefferson High School and then went on to study at Southwest Texas State University in San Marcos, Texas. He later earned his doctorate at the University of Texas Health Science Center School of Dentistry in San Antonio. Each year he attends extensive post-doctoral studies in clinical dentistry, focusing on cosmetics and minimally invasive dentistry. Dr Voigt is an active member of the American Dental Association, Texas Dental Association, San Antonio District Dental Society and the International Association of Orthodontics. He and his wife Jeaninne have been married for 20 years. They have five daughters, 3 grandchildren and 2 dogs. In his free time you can find Dr. Voigt barbecuing, fishing, and spending time with his friends and family at the lake. He is a dedicated San Antonio Spurs fan, having played basketball since he was a young boy. He also enjoys a good game of Texas Hold'em when he can find the time. "I appreciate the time you’ve taken to visit our website and find out more about the dental practice, my team, and the many services we can provide to help you achieve optimum oral health."